Have you played along with us before? If not, here is your chance to have some fun and perhaps win the $50 Gift Voucher that is on offer! 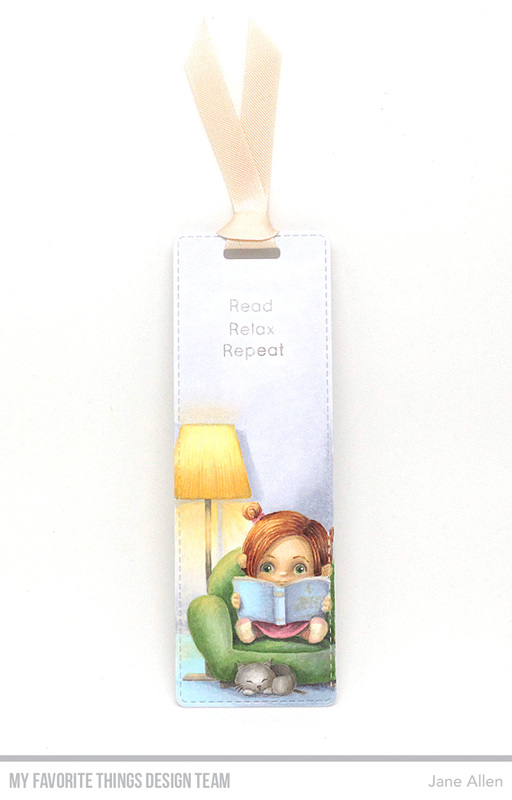 I decided to turn one of our new Tall Tag Duo dies in to a bookmark, an ideal gift for your favourite bookworm! Oh and before I forget you don't have to use these exact colours, they are there to guide/inspire you. How cute - especially with those soft colors. I wanna be that little girl curled up in that chair with a book! What a perfect bookmark! Your coloring is awesome!! This is beautiful. I love you work. This is an amazing bookmark ! I love the soft colors and the little kitty on the chair. Thanks fort sharing this awesome post. It is so eye-cathing, keep up the good job. MFT - Ellen Hutson - United We Flourish!